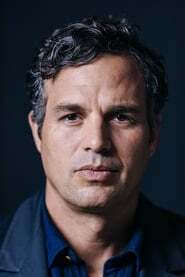 Mark Alan Ruffalo (born November 22, 1967) is an American actor, director, producer and screenwriter. He has worked in films including Eternal Sunshine of the Spotless Mind, Zodiac, Shutter Island, Just Like Heaven, You Can Count on Me and The Kids Are All Right for which he received an Academy Award nomination for Best Supporting Actor. Description above from the Wikipedia article Mark Ruffalo, licensed under CC-BY-SA, full list of contributors on Wikipedia. as "Bruce Banner / Hulk"
as "Bruce Banner / Hulk (uncredited)"
as "Bruce Banner / The Hulk"
as "Himself / Bruce Banner / Hulk"
as "Bruce Banner /The Hulk"